Las Vegas pedestrians are injured and killed each year when they are crossing the street both at mid-block and at crosswalks. 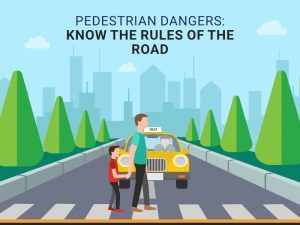 It is important for pedestrians and drivers alike to understand the dangers that pedestrians face and to be careful to minimize the risk of accidents. Motorists and pedestrians each have the responsibility to follow the state’s laws. Lawyers in Las Vegas represent victims in accidents that were caused by the negligence of drivers who breached their duties of care.